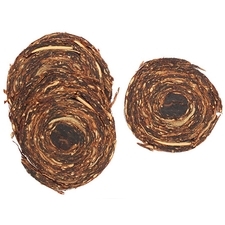 A mixture of golden, mature Virginia tobaccos with a touch of Perique, Orlik Golden Sliced has a natural sweetness in both taste and aroma. 3% off 5+ Tins: $14.96 ea. 5% off 10+ Tins: $14.65 ea. 6% off 20+ Tins: $14.49 ea. A clean, sweet, bright Virginia offered at a price that lends pipe smokers of even the most modest means the ability to stock a nice little cellar. This stuff is very reliable and always available. A staple for any lover of Virginia tobacco. A fresh, crispy summer smoke. This blend will teach you how to enjoy Virginia's. Puff it slow and enjoy. But stoke the embers a bit too much and go straight to ashtray. Bright virginia with mild bergamot orange topping. Think "Earl Grey". Perique? I wouldn't be too sure. A classic, great summertime blend. Go easy at it for best results. A pleasant affordable Virginia blend. It burns well and has a crisp, grassy, bready flavor. This is the blend I use to break up the monotony of my usual go-to blends. Gets better with age. Being a newer smoker and wanting something different than an aromatic, this was my first try at a Virginia. It is awesome!!! I love the grassy hay taste. Sure am glad I tried something outside the box! Very nice. Very nice, balanced performance! liked it increasingly with usage. Little issues on tar residues, and smoked well -- pipe needed less frequent cleaning than other tobaccos I smoked. Good, stable, predictable smokes! Quickly becoming my go to morning smoke. Bright and brassy, satisfying smoke. I wanted to try this after reading reviews and reading about it on pipe forums. 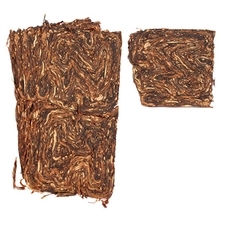 I am sure it is a very good tobacco if you like this style. Just was not to my liking. Fresh cut grass & hay...Smoke it fiercely in a big pipe in the morning or midday... Delicious! im an English Blends Fan but when i want a Virginia this is one of my favorites! still i cant find the Perique on this blend! but is a very good Virginia! 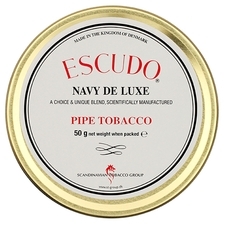 A great and very natural tasting pipe tobacco. A benchmark. A classic. Wonderful. Great. Full of flavour. 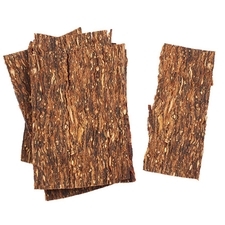 Bad reviews for this tobacco just makes me scratch my head. This stuff is superb! 버지니아,페릭조합의 연초를 좋아하게된 결정적 역할을한 연초이다. 피울수록 혀밑으로 침이고이는 시트러스한 맛이 절묘하게 느껴진다. 항상 떨이지지 않게 구비해두는 필수연초이다. 올릭은 골슬은 사랑이다. Some say the Perique is barely noticeable; maybe I'm just sensitive to it. But it's still not what I'd call powerful. Nevertheless, the typical Virginia notes lose out to it about 1/3 down the bowl. Can bite hard. My palate doesn't match up with it. After over 40 years of pipe smoking, this blend has become my benchmark in judging other blends. That says it best. It is always within my grasp, and I smoke it nearly every week. It's cleansing, crisp, and well behaved. Summer, indeed. I tried this to see what the fuss was about. I still don't know. There was as close to no flavor present as could be imagined. Smooth, yes, but also flavorless. Perhaps I'm spoiled for big flavors by my love of English blends. very nice mellow smoke with the virginia fresh hay taste/note. no complaints overall. It had some sweetness but there was too much pepper for my tastes. I ordered 4 vapers to try and the only one I like is Dunhill Elizabethan mixture. 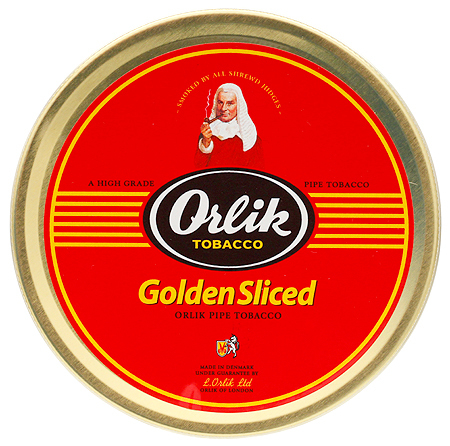 It has been hard to smoke up my other tins once I found Orlik Golden Sliced. OGS is my all time favorite. A good smoke with a smooth delicious aroma consistent all the way through. One of my all time favorites. Wouldn't be without it, delicious. In 1989 I visited the Ivarsson shop on the Copenhagen walking street. Sixten and Lars were smoking this blend and I joined them with my new Larsen. You can't get a better endorsement than that. sweet and light but not excessive but good. it can dry as time goes but it keeps its good tastes. This tobacco is excellent. A grassy Virginia with just a hint of Perique to smooth it out. Hay ! This takes me back in memory to my younger years when I use to pick up hay bales and throw it in the back of the truck and go put it in the barn ! The sweet smell and taste of this is awesome ! Refreshing, summertime, hay-like smoke. Love it. I love this stuff. Naturally sweet, nice room note, no bite and smokes cool. This is going to be my regular pipe tobacco from now on! More of a subtle sweetness here. I can see this being an all-day blend, but I only smoke it occasionally. Grassy, toasty flavours on the draw, with an herbal quality and some caramel/maltiness on the finish. Nicely balanced. A sweet, and pleasant blend. One I always think about, in my regular rotation. This is a perfect summer time smoke. Orlik made me fall in love with perique even more and I can't get enough of this sweet, tangy goodness. Definitely a must try for any perique fan. Great all day smoke! Va sweet with just enough spice to keep you interested. If Navy Rolls is a little to much try this. This is one of the two definitive Virginia/Perique on the market. It is light enough to smoke repeatedly during the but with enough strength to know that you're puffing on more than hot air. This is easily one of the better VA's out there. Never boring and never a bad time of the day to smoke this! no matter what pipe I choose to smoke it in it's always reliable. my all time favourite. Buy in round 100grm, the flake rolls out like liquorice. All day smoke, smooth, with a touch of spice, the citris flavours compliment well. By: Who's Afraid of Erik Nørding? As a new pipe smoker, this is a very smooth and easy tobacco to smoke. Decent flavor with a pleasant after taste. I would say it's mild to a weak medium. Nothing exciting but definitely a must try for new pipe smokers. I can see why this va/per is so popular. Flavourful, and easy to smoke. 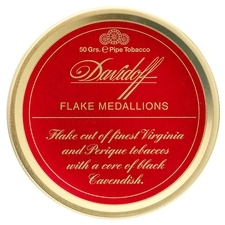 One of the few tobaccos that in my next order I'll be ordering a few tins. I'm missing something on this one. Folks, I just don't get this mixture at all, it gets a two because it is still tobacco. Smells like lawn clippings, burns well and is very one sided taste wise. To me this is on par with your typical drug store non aromatic blends. This was the first flake tobacco I have ever smoked. It has a nice fruity aroma. in the can and in the smoke. I will keep smoking this one! Just the right amount of perique in it, to make a flake so enjoyable and smooth. I´ve been smoking this stuff the whole week and can´t have enough of it!!!. I´m loving it. Highly recommended!!!! Well, this was a flake that I had to try as it is a staple brand for anyone into this. However, there was nothing here for me! Not a bad tobacco...just not good! At least not enough to make it into my regular rotation! There IS perique in this dude! A good everyday smoke. I tend to smoke fast, and it doesn't do me wrong. The nicotine level is nice, and leaves me satisfied, and its just got a nice, clean virginia taste. I only detect anything citrusy from time to time. I like the smoke in a smaller pipe,it just seems to burn better, if rubbed out it really does the job. very mild yet sweet. I plan on keeping a tin of this on hand at all times. Very balanced natural tobacco blend. Without much flavor, slight citrus aftertaste, cool smoke. Perfect for lovers of unscented pipe tobacco. Its like a light VA, but seems complex despite being a lighter smoke. Its great in the morning with tea, or for an all day smoke, but you'll run out faster that way lol.